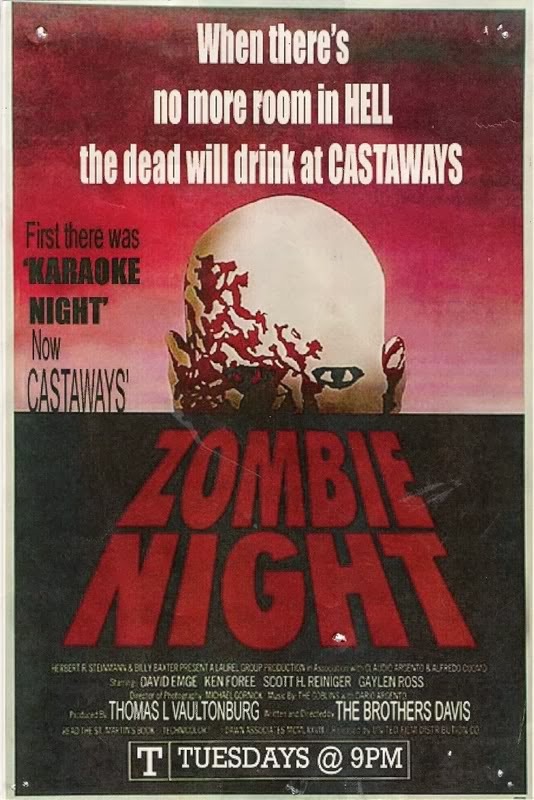 This is the logo for Castaways On the Rock, the bar my brother opened in 2005. Maybe it was 2004. It's right on the Rock River. I think this logo was done by either Andrew or Ryan Davis, and we just used it like dicks because I honestly didn't even know how things like that worked back then. I have a bout a billion stories from this bar, but I'm not going to tell them. I was the General Manager there for three years. The Rockford Rage Roller Derby league was formed there in the ladies restroom. The Downtown bars sure did steal a lot of my ideas back then, and it was amazing that we were able to get a crowd of the young, hip, and culturally aware to cross the river and walk into a dive bar under a bridge. I'm proud of the work I did there, creating events like Zombie Night, and attracting creative and bright people. Getting 250 people on a Tuesday night to go to a bar they never heard of to watch a movie like The Stuff, Hard Rock Zombies, or The Story of Ricky O is no easy task. But we did it. And others imitated. 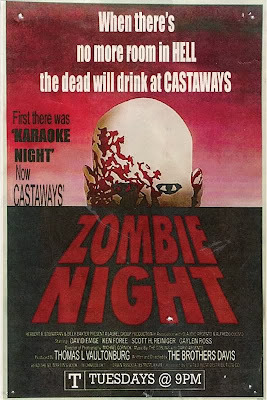 Poster for Zombie Night, created by Andrew Davis. Those days were sort of my Camelot. Brief, but powerful, and filled with moment.